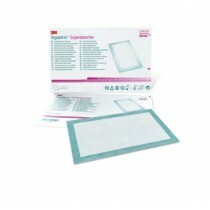 Super Absorbent Wound Dressings are a very important line in wound care treatment. 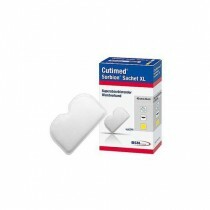 These wound dressings can be used as either a primary or secondary dressing with the purpose of using its unique and extremely absorbent core for exudate management. 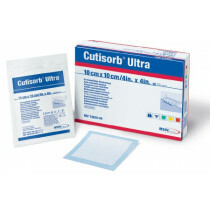 The super absorbent polymer dressing core effectively soaks up high amounts of wound exudate from pressure and venous ulcers, surgical incisions, burns, donor or skin grafts and chronic wounds. 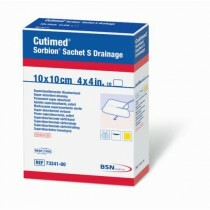 These super absorbent wound care dressings receive its suction power from its multilayer construction. 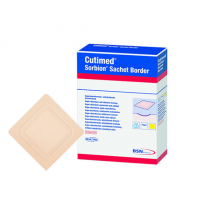 Many super absorbers like the Cutimed Sorbion Sachet S have a polymer core made of gel for its moisture-retaining properties. 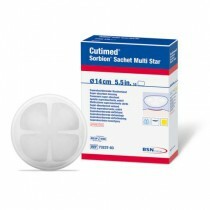 Gel wicks away heavy draining wounds so the wound margin doesn't macerate and cause further damage to this sensitive skin. The pad also soaks up exudate without disintegrating to add compression while locking in harmful germs and bacteria. 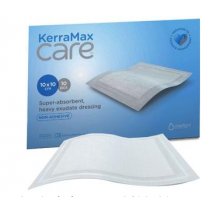 This helps to control odors and above all, creates a moist wound environment which is beneficial in wound healing. 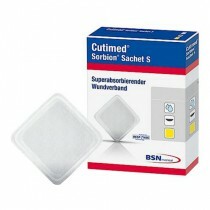 The absorbent layers won't stick to the wound but retain the exudate for the optimal moist wound healing environment. These moist conditions allow new cell growth to thrive. Having a wound dry in air will create crusty scabs and slow down healing as well as increase the chance of infection and unsightly scarring. Moist conditions promote quite the opposite by encouraging the growth of essential proteins that are needed for the wound to close nicely. 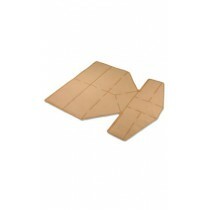 Super Absorbers are available in a variety of shapes and sizes to work well on a variety of wound types, sizes and locations. 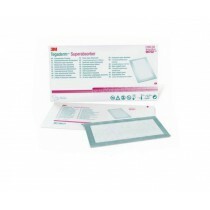 The super absorbent dressing is flexible with an adhesive to secure well to the unique curvatures of the foot, arm, chest or sacrum. 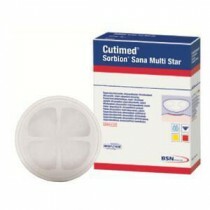 The Sorbion Sana Multi Star has high flexibility with its backing and core design to allow the dressing to conform to the most difficult anatomical sites. 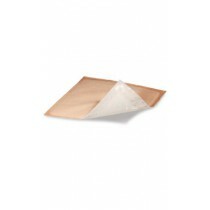 They are also designed to be long lasting to not have repeated changes to these sensitive wound sites. 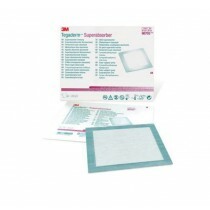 Tegaderm Superabsorbers features a protective backing that repels external fluids should wound site get wet from showering, but still allows the wound to breathe and retain the exudate fluid.